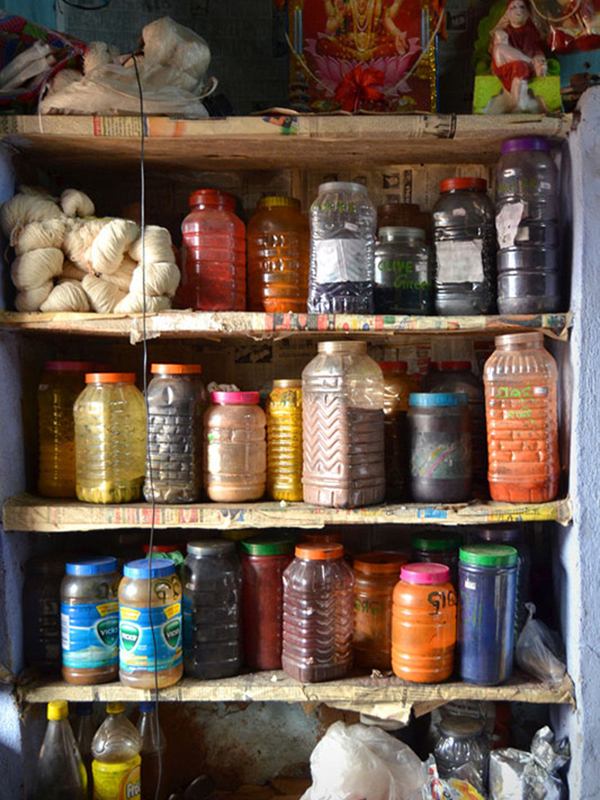 Acid dyes sourced from Calcutta. 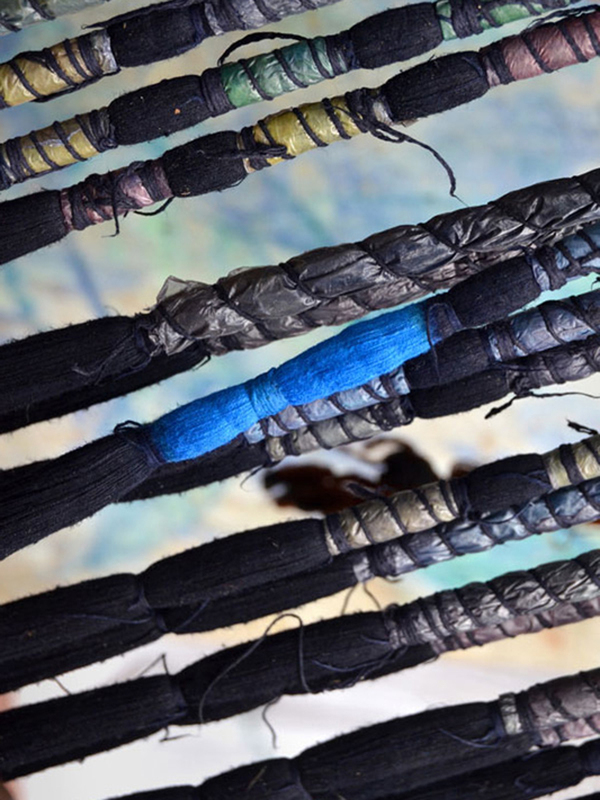 Last set of bindings being cut away. 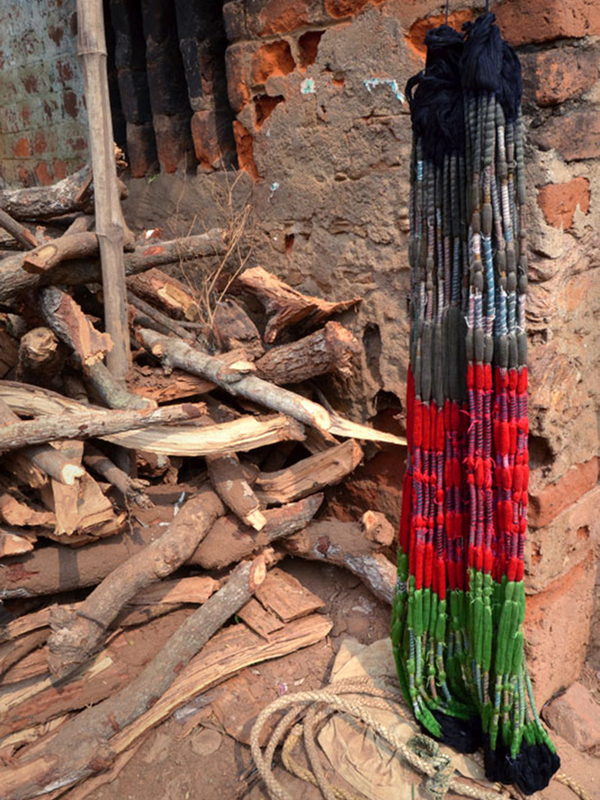 The entire weft of the saree, tied and dyed. 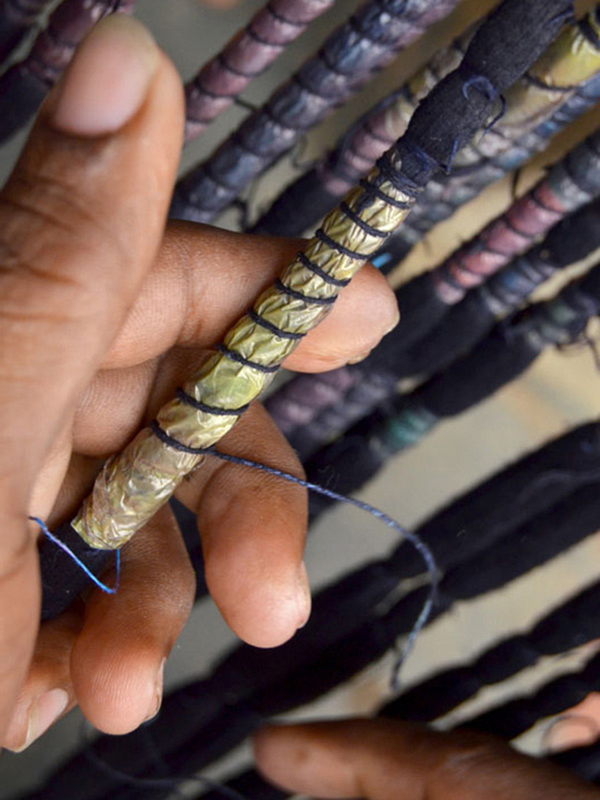 Ikat requires immense skills for detail of de-constructing the desired pattern according to the density of the cloth, winding threads on the frame according to the calculations made, covering selected sections of the weft for resist-dyeing and finally weaving. 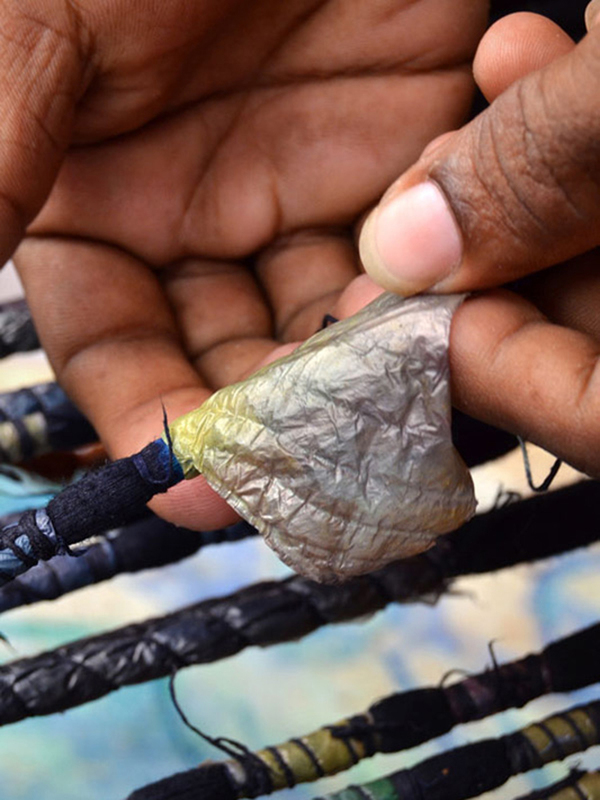 The entire process involves almost an entire family’s participation in different aspects. 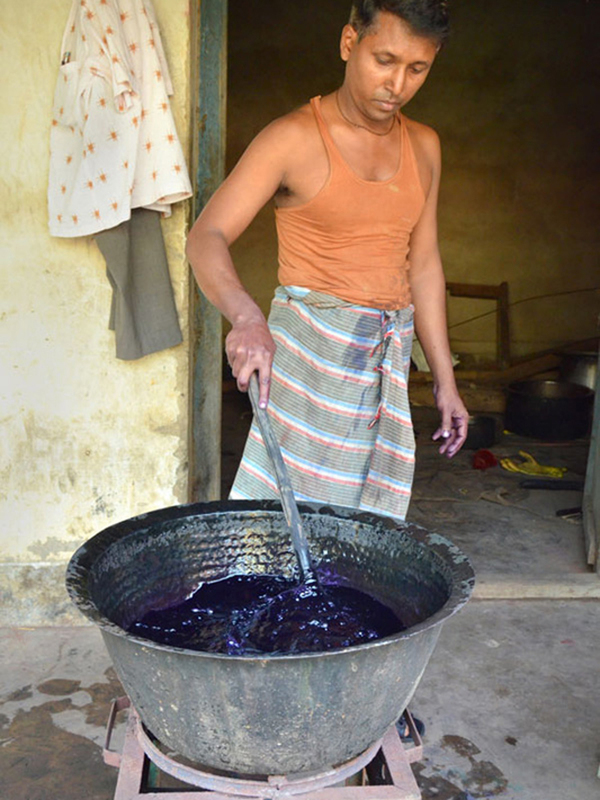 Traditionally, colors from plants, flowers and barks of trees were used as dyes in the process. 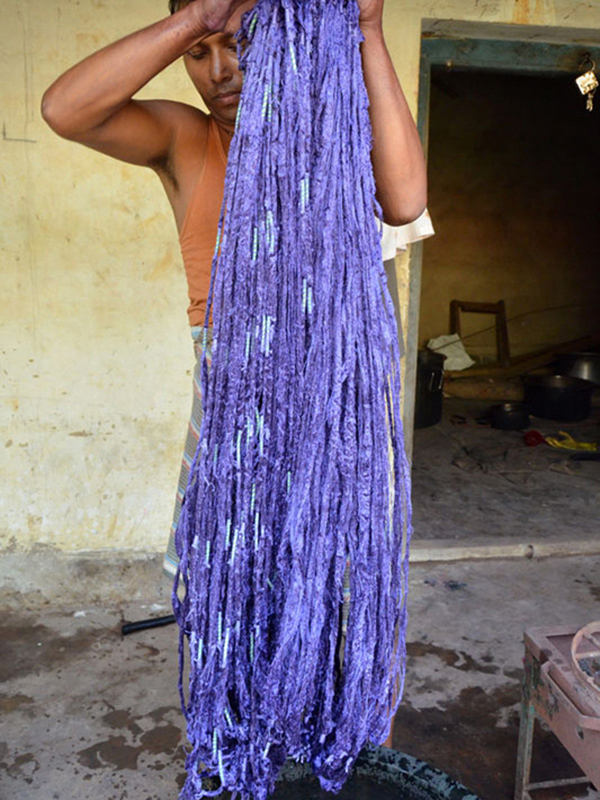 But in recent times, increase in demand for Orissa Ikat has fuelled the need to use chemical dyes as well. 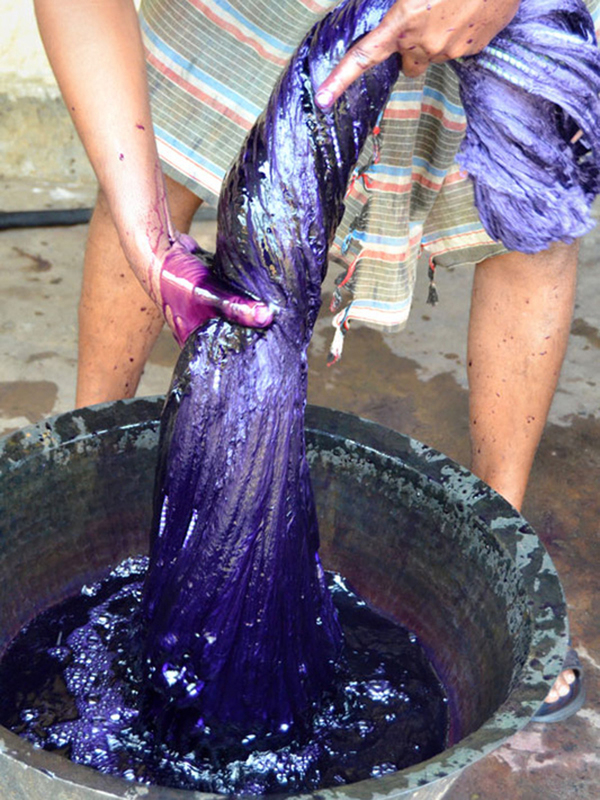 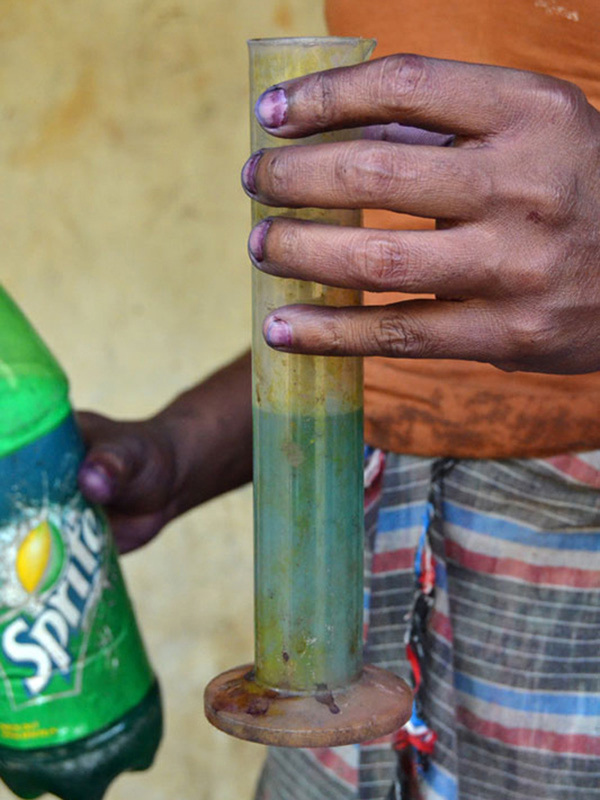 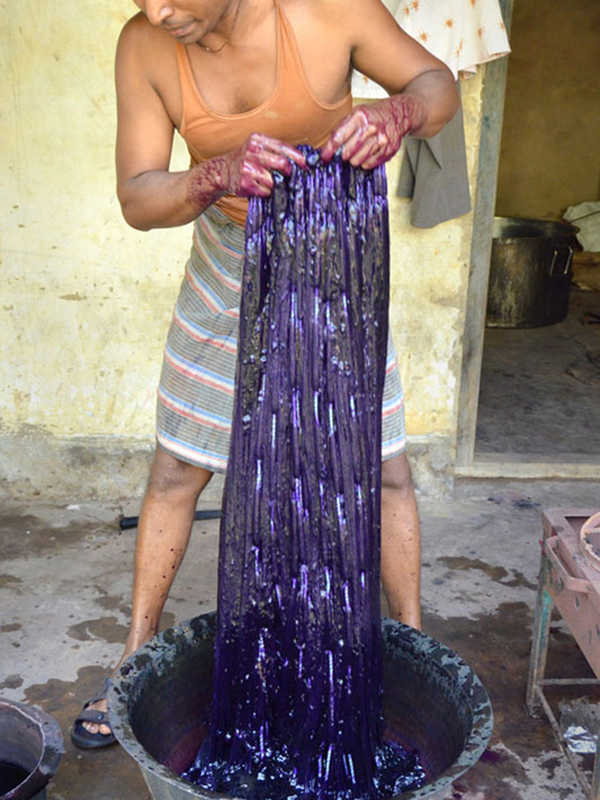 Dyeing is done manually with acid dyes, sourced from Calcutta. 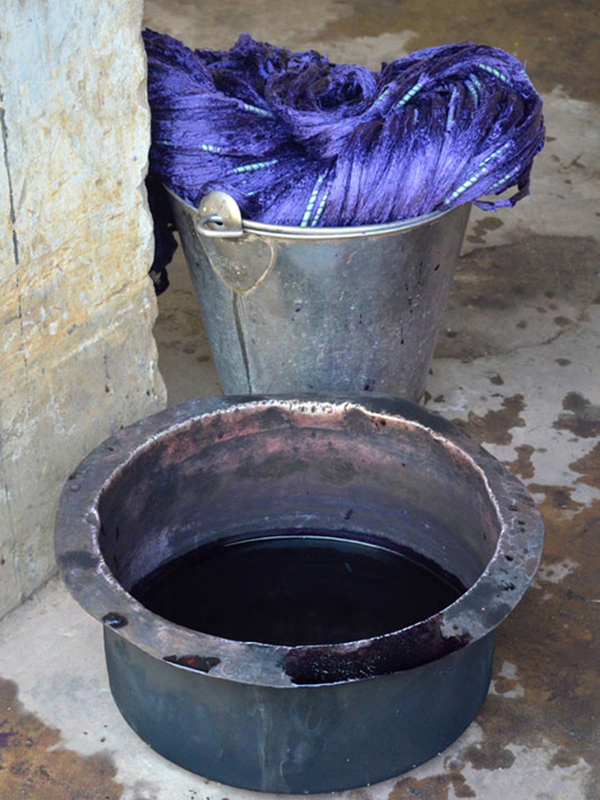 Once the yarn is tied and dyed in multiple colors, it is left to dry. 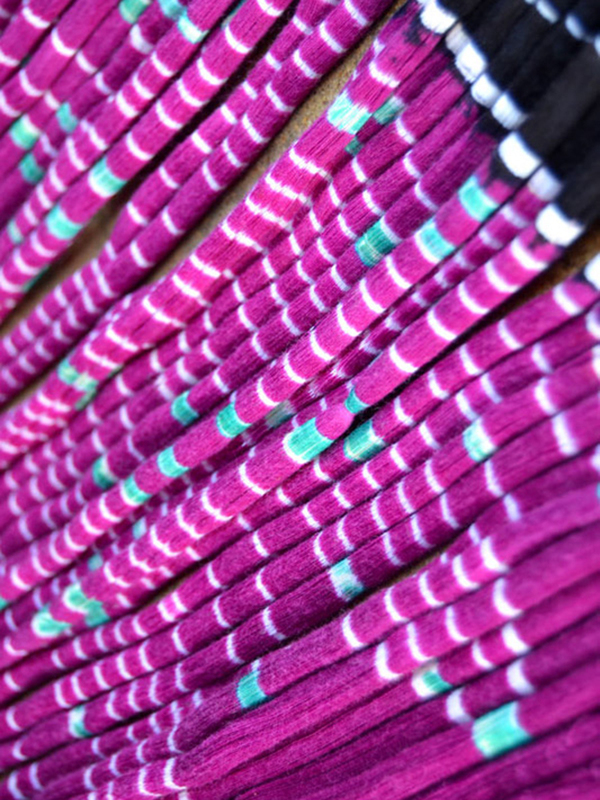 Then the last sets of bindings are cut away, revealing the pattern that was initially planned on the graph.